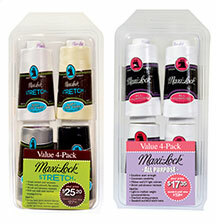 "When researching threads for our new serger and coverstitch machine, Maxi-Lock® was the clear choice for quality and value." 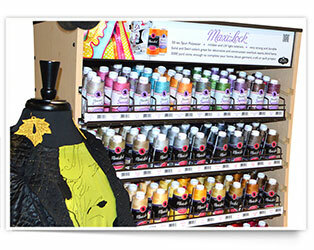 Maxi-Lock® with its variety of assortments and fixtures, can meet the needs of any retail setting. The Curve cone floor fixture effectively merchandises a wide selection of colors for quick and efficient product selection. 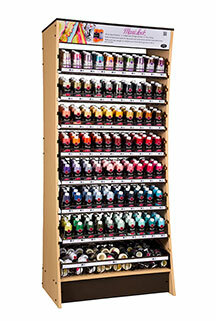 The pull out shelves greatly aid with maintenance and inventory replenishment. The wire cone fixture offers flexibility for standard peg board/slatwall mounting and placement on shelf/table options. It offers a smaller footprint and the ability to vertically stack multiple units. 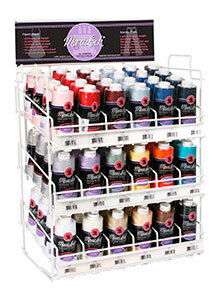 Great as a gift or a last minute purchase at the register - these are a great value for both new and skilled sewers.